Marble has been used for centuries in order to add value and visual quality to people’s homes and workspaces. In fact, marble is one of the most popular natural stones used in the homebuilding process today. Whether it is white marble flooring, black marble kitchen islands, or even the increasingly popular light-colored marble vanity tops used for today’s modern kitchen and bathroom settings, it is clear to stone fabricators everywhere that different kinds of marble are here to stay. Fortunately for slab yard owners, the natural stone industry has been able to re-supply an endless amount of elegantly designed types of marble, with different light, medium and dark colored textures being added every year. This includes such popular and exotic types of marble like Calacatta Gold, Statuarietto, and the beautiful Emperador Golden marble exclusively used in order to give the overall design of a room a more diverse and tasteful appearance. If you’re a homeowner and seeking some additional information on the types of marble gaining traction throughout the natural stone industry, we would highly recommend giving Marble.com a quick visit. A few minutes on this site can give you an endless amount of home-improvement ideas, especially if you’re looking to give your living area a beautifully elegant natural stone design or just invest in a simple marble countertop restoration project. Either way, your butler’s pantry and marble fireplace surrounds won’t regret you did. Since marble has become the indispensable product for today’s home-market, yard owners everywhere looking to add a more aesthetically pleasing mixture of stones should give Crema Marfil marble serious consideration. This classic, cream-colored marble with a commonly smooth, beige finish has gained mass popularity throughout the U.S. and abroad. Traditionally used in houses throughout the Spanish region, Crema Marfil has rapidly become a must to fill today’s slab container, especially considering that homeowners everywhere want to add that distinguished, tasteful aspect to their countertops, backsplashes, baking stations, butler’s pantries, and all other high-end, low-traffic living quarters. This is why Crema Marfil marble just might be the best choice for stone fabricators to work with when considering a light-colored option that gives any room a clean, polished touch that every homeowner and household guest can come to admire and enjoy. By simply adding at least one bundle of Crema Marfil slabs to your container, you can easily increase daily foot-traffic by integrating both taste and elegance to your current inventory. SlabMarket is an excellent way to purchase and sell different varieties of natural stone, including Crema Marfil marble. You won’t regret the added value SlabMarket provides when increasing the number of stone options your customer can buy. Additionally, don’t forget to supplement your sales with products like Mr. Stone's AGM Daily Countertop Cleaner to help maintain that sleek, polished finish to all marble vanity tops and other celebrated home areas. Mr. Stone's AGM Daily Countertop Cleaner is an excellent, multi-purpose product that will guarantee your customer’s natural stone surfaces maintain their value and integrity for years to come, something that is an absolute must for all marble countertops. 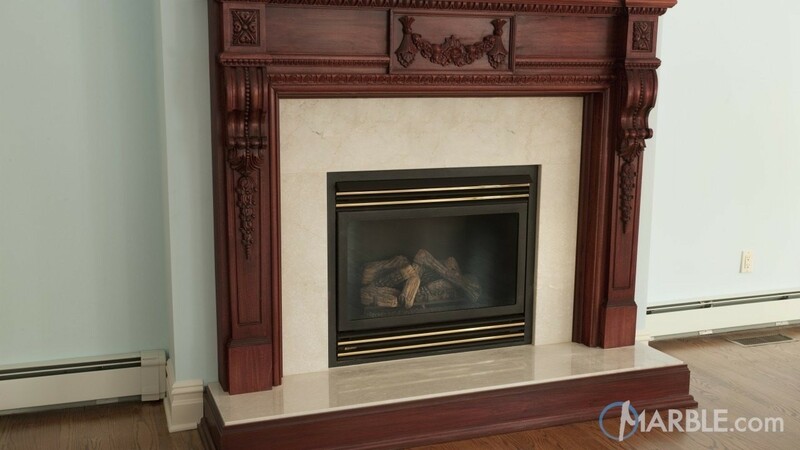 It will be helpful to keep in mind that the exclusive, Spanish-styled look afforded by Crema Marfil marble is the best way to add value to your slab yard, especially with homeowners currently seeking to renovate their baking stations or finally install that irresistible, high-end marble fireplace surrounding that is just beckoning for a more luxurious feel. If you can’t see yourself investing in the high-end grades of Crema Marfil marble right now, that is OK, not everyone is. Most stone fabricators are satisfied with the more classic, commercial options that are available and still offer an illustrious, creamy texture to any and all rooms within the house. 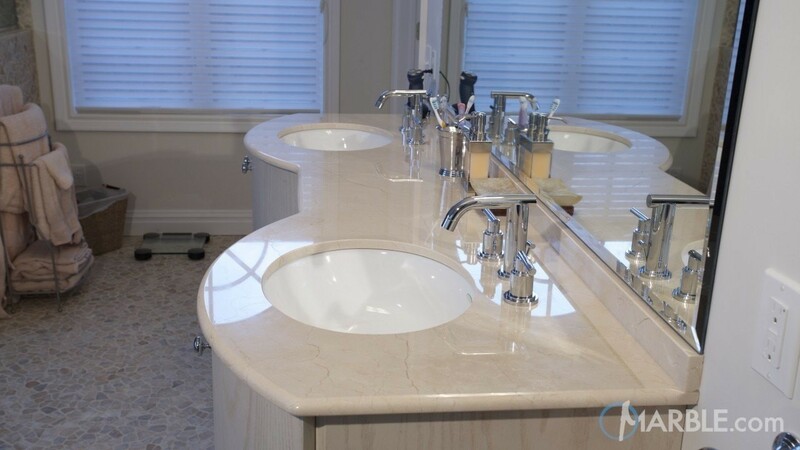 Just remember that the incredible Crema Marfil marble out on the market today is available for purchase and installation from Marble.com, a site that maintains many different and attractive options for your next major home improvement project.